Craving Indian food? You’re in luck—South Carolina has some of the best hot spots for Indian cuisine this side of the Pacific. Indian food is truly a unique experience everyone should try at least once. Chances are, it certainly won’t be your last! Find the best selection and quality at these 10 best Indian restaurants in South Carolina. 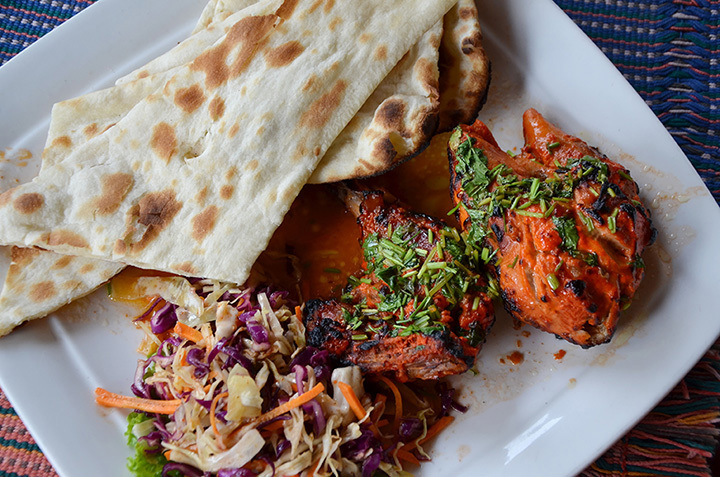 This no-frills Indian eatery is the best for a reason: they focus on authentic Indian food that has as much flavor, aroma, and taste as though you’ve gone straight to India itself. You can sample a little of everything on their lunch buffet. This place gets busy, but they do take reservations to limit your wait time. If you’re looking for traditional Indian dishes, this is sure to become your new go-to. It’s small and homey, but inside you’ll find an irresistible buffet and made-fresh-to-order classics. Hands down, it’s one of the least expensive ways to eat healthy in the city, and there’s plenty of variety to give you something different every time you visit. This very specific style of Indian food was once served in royal palaces and eventually made its way to the Upstate. You likely haven’t tasted Indian food like this anywhere else, and may never find anything like it elsewhere. Their buffet is reason enough to visit, but you’re sure to love the variety of the menu and elevated atmosphere that this will be your go-to anytime you want an outside-the-box meal. This place combines the best in cuisine, wine, and online ordering. For starters, their food looks every bit as good as it tastes. Their elevated atmosphere makes it perfect for family meals and business meetings alike. Plus, ordering your food online will save you time and let you indulge in your meal faster than ever. Their All You Can Eat lunch buffet is just $10, but that’s just the start of the epicness of this local eatery. From a fulfilling menu that features food from all over India to catering and one of the biggest selections in town, your taste buds will want for nothing. They’ve even got a kid’s menu that no picky eater can resist. Order online or at your table—either way, you can’t go wrong. This place has all the classic Indian dishes you can think of, each one as authentic as though it came straight from the motherland. It’s the best place in the Holy City to eat cheaply and healthily. Part restaurant, part retail store, fans agree no visit to Greenville is complete without a stop here. This cozy cafe carries the Indian theme all the way, in both menu and in atmosphere. Before you leave, you can stock up on your favorite in the grocery section so you can enjoy fresh, delicious Indian food whenever the cravings strike. Focusing on cuisine from the northern and southern regions of India, this is your chance to experience authentic Indian street food at its finest. This place is so much more than curry and naan (two of the most popular foods, by the way). Biryani, paneer kathi rolls, and thali might not be in your food vocabulary yet, but they’re all sure to become new favorites by the time you visit them. This Indian fusion restaurant offers some of the best varieties of Indian, Pakistani, and Italian cuisine. Relying on family recipes that have stood the test of time, this place is also the go-to spot for international wines and beers. A note before you go: Children under 12 years of age are not permitted at this restaurant. This is where the natives go, so you know it has to be good. You’ll savor every bite of their authentic Indian cuisine, complete with fresh spices that give Indian food its signature flavor. Their master chefs make every meal perfect, and you’ll be able to taste the difference.